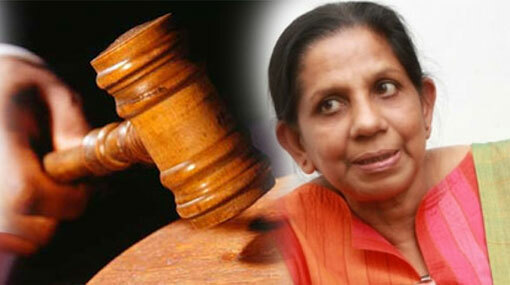 Actress Deepani Silva, who was arrested by Bandaragama Police this morning in connection with a traffic accident, has been granted bail by the Panadura Additional Magistrate. The Additional Magistrate ordered to release her on a personal bond of Rs 200,000 while also instructing to suspend her driver’s license. Ada Derana reporter said that the actress had provided a sum of Rs 25,000 to the child’s father for medical expenses and also premised to the court that she would bear the cost of repairs to the three-wheeler which was damaged in the accident. She also promised before the court that she bear all the costs for the child’s medical treatment until the child is healed. The veteran actress was arrested by Bandaragama Police after her car collided with a three-wheeler and injured a child. The accident had occurred at Kindelpitiya Junction on the Bandaragama-Kesbewa main road at around 6.40am this morning (28). The car driver by the actress had collided with a three-wheeler while a 10-year-old girl who had been inside the three-wheeler was admitted to the Kalubowila Hospital with critical injuries. She was produced before the Panadura Magistrate Court.